Party Bubbles is a small, local business based in southeastern Massachusetts, and is owned and operated by Megan Colby Parker. World's Largest Free Floating Soap Bubble (Outdoors). The services Party Bubbles provides varies, depending on the season and specific needs of the customer. We offer both indoor and outdoor entertainment, as well as hands-on wand building workshops for both small and large groups. (wand building workshops are for ages 5 and up). During the summer months, our most popular option is the outdoor, free-play style, interactive bubble party. This is suitable for any event, from small private parties to large, public events and festivals. The activities may vary over the course of an event, depending on the ages of the participants, weather conditions and the general interest and focus of the group. We use three styles of wands. 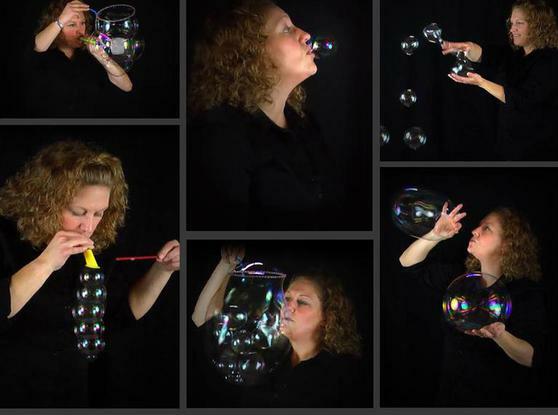 One that produces medium to extra-large free floating bubbles (size is dependant upon weather conditions) another, which can create 50-200 smaller, softball-sized bubbles all at once (kids LOVE to chase and pop them!) and a third, which resembles a fishing net and results in the formation of a large cluster, or bubble "cloud". (The bubble net is generally reserved for performing under higher wind conditions, when creating large, single-cell bubbles is not possible). Party Bubbles also provides extra containers, bubble solution and scaled down string wands for interactive play with children (and usually grownups too!). For this reason, we generally request a final headcount about a week in advance, to be sure enough wands, containers and bubble solution will be supplied, to accommodate all of your guests. For public events, a final headcount is not necessary. 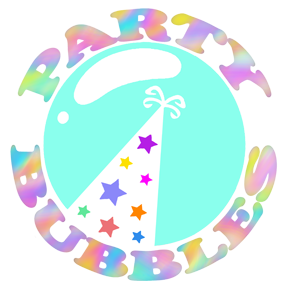 We are able to accommodate up to 20 children at once, however, during such events the attendees frequently come and go, thus allowing a much larger number of participants to try out the wands and make their own big bubbles. ASK US ABOUT OUR WINTER INDOOR SHOWS AND ACTIVITIES. PERFECT FOR PARTIES, PLAYGROUPS, AFTER SCHOOL PROGRAMS AND MORE!